Tave is a business management tool for creative professionals. 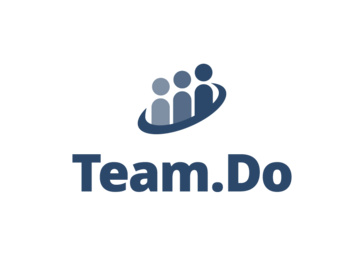 Team.Do is a task and project management software that offer fanatic support to make sure you and your team spend your time getting it done. A simple yet powerful web based tool for managing your projects. Organise your team's work into projects, milestones and tickets. Improve team communication and collaboration, working in harmony with email and Slack. Track progress and see results. TimeHero is an automated task and project planner for teams. It automatically schedules work around meetings, events, and appointments, so you don't need to spend time planning your day. Easily launch team-wide projects in seconds with TimeHero's built-in workflow automation. Timelines, timesheets, and Gantt charts are instantly updated, so you know when things are at risk before they ever get behind. Sign up for TimeHero today and become a more productive team with less effort. Admation is a cloud based marketing management solution helping brands and ad agencies manage creative projects and resources. Admation comprises 4 tightly integrated modules include project management, resource management, approval workflow & DAM. Key features include project timelines, online project tracking, timesheet recording, task management, online markup (all media), compare revisions, manage marketing compliance and many more....... Feature rich and user friendly, admation is one of the few project management software designed specifically for the advertising and marketing industry, and is changing the way agencies and marketing teams manage their increasing workloads. AdValue helps organization's executives, project managers and team members to use standardized processes, and quickly visualize and analyze project data to make better informed decisions, faster. Advantage is a software company that provides a suite of products with features you need to monitor and improve productivity and increase profitability. Agilean is an AI and NLP-based SaaS enterprise workflow automation and management solution that caters to small and medium IT companies working with various verticals. AP4 Project Managers is a file and task project manager for architecture, engineering and construction that connects your construction project files and tasks with everyone. Ayoga is a cloud-based construction project management and collaboration software that simplifies project management by driving a lean, project-centric approach. It organizes projects to provide the right information at the right time for you to strategize better, deliver project milestones, and take well-informed business decisions. Technology rich Ayoga features connect Stakeholders, Resources, Designs, Location data, Drawings, Documents and Field data for global collaboration on Web, Mobile or any desirable device or platform. Bearbook Project helps you manage your projects, tasks and its time tracking & invoicing for client. Kickstart your content marketing Beegit centralizes your content creation while simplifying communication — keeping your team organized, informed and on schedule. Bric is a software that helps user to accurately plan team's calendar, user will know, who is working on what, how long projects will take and know the capacity for new projects. BrightWork is a SharePoint-based project management application that includes a range of practice templates and advanced cross-project reporting, that deliver immediate visibility and control, with the flexibility to evolve and mature as needed. BST Global provides integrated business management software solutions for architects, engineers, and environmental consultants. Cardinis Suite is the software developed by GFT for projects and programs management. It is designed according to PMI standard, in order to allow a correct execution of the Project Management processes. Anyone who has deepened the PM methodology finds in Cardinis the perfect application of the method. Developed in in over twenty years of experience in various market sectors, Cardinis is a WBS-Centric solution, web-based, fully customizable, integrated with the most diverse business systems (ERP, HR Suite, Ticketing Solution ...). Casual is an online project management tool that differs from the rest. It helps teams plan and execute projects as simple workflows online. Comindwork is a online project management software for teams and businesses. CommandCenter is a business process management (BPM) tool that empowers you to build the most efficient organization possible and enables you to easily perform work based on strategic priority, returning more dollars for your effort. The friendliest project management tool for task management, time tracking and team collaboration, COR helps project managers keep their work accountable and take your company to the next level. Boosts your classic & agile projects, resource management, DevOps, sales, customer care and overall user experience. Eclipse PPM simplifies the management of a portfolio of projects and constrained resources. Their best of breed solution focuses on improving project prioritization and execution, while improving communication and collaboration amongst stakeholders, project managers and resources. Eclipse PPM also helps solve the challenge of delivering projects and operational services with constrained human resources. Elegantt is a gant chart software for Trello. eResource Scheduler (eRS) is a collaborative, multi-user employee scheduling, planning & management software. eResource Scheduler is specially designed and developed to enable organizations to efficiently schedule & plan their resources on project / events / Jobs etc. Its client - server architecture allows multiple users to collaborate and share data in real-time. This provides real-time visibility of resources across the organization, even if an organization is spread across multiple cities or countries. eRS can be easily configured to schedule employees / staff or custom defined resources such as rooms, equipment, vehicles etc. In this process, eRS employee scheduler also maximizes utilization at all levels of the organization. Ease of use and high level of configurability makes this resource scheduler popular among people who regularly schedule & plan employees and other resources. | your business esp. esilentpartner is web-based professional services automation software designed to unite people, projects and finances across the enterprise. The platform seamlessly blends work management and accounting into ONE system for firm-wide insights into projects, resources and profitability in real time. Feng Office is an integrated suite of designed to help your organization run better. Users can stay connected to customers, meet project deadlines, find information faster and grow their organization. fruux is a unified contacts and calendaring system that works across platforms and devices. Tailor-made features for your growing business ! Grapple is a project planning software that allowanyone to plan a project like a professional project manager that integrates with your existing project management tools. Productivity platform for work that is changing the way teams collaborate. GroupCamp provides project management and collaboration tools. Projects can be planned and milestones are tracked. Budget reporting and file sharing allow for easy collaboration. Project and Task Management solution from Hexnode helps you plan, organize and track all your projects easily. Collaborate seamlessly with unmatched speed and flexibility only cloud can deliver. Adds a lightweight kanban board to GitHub issues, instantly adding project management to your GitHub projects. HyperSwiss delivers an online project management system that boosts team efficiency and individual productivity to higher levels by enabling them to prioritize their projects well, assign tasks to the most qualified individual, and align teams to your project goals faster and smarter. Ignitur is an advanced Project Management Software optimized for online marketing. With a Reboost reporting engine and a team collaboration option, you can easily monitor, analyze and strategize using real time data.